Please pray for the protection and victory over court case for my two sons currently awaiting trial in jail, Kevin and Ruddy Maldonado. Please also pray for family unity for Margarita, Kevin, Ruddy, Alex and Bridgette Diaz. I will keep them in my prayers and PLEASE say the Rosary It is very, very, powerful and very important in meditating while saying it and MEAN EACH AND EVERY WORD ! ! ! 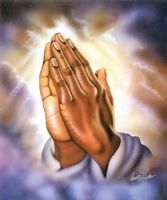 Remember to ask God to take control on evrything.Keep on praying.